I have to admit something right away: I never thought of doing any of what you're about to read. No, I didn't refuse to wear yoga pants or a crop top. I still rock those on the regular. I mean, I believe in standing up for my right as a woman to wear what I want, when I want, regardless of what society has deemed appropriate. This year, there was a lot of that with one common factor. Whether it was women wearing too much, women wearing too little, or women just not wearing their hair in the right way, every issue had to do with the sexualization of women. So let's learn from these issues that have popped up this year and enter 2016 with a refreshing and shocking new attitude towards women: let them wear whatever they want. 1. Need medical attention? Take off that veil. The region of Lombardy in Italy has banned women wearing veils, niqabs, and "anything of that type" from entering their hospitals. The governor of Lombardy said the region is just trying to catch up to national laws that also ban the article of clothing. 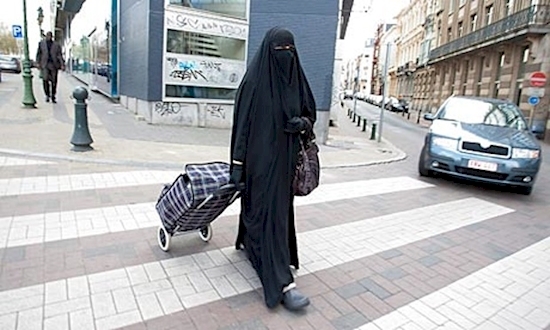 However, the country does not have a national ban on burqas or veils, but rather local areas have banned their use. 2. Think that's bad? At least they're not fined... yet. 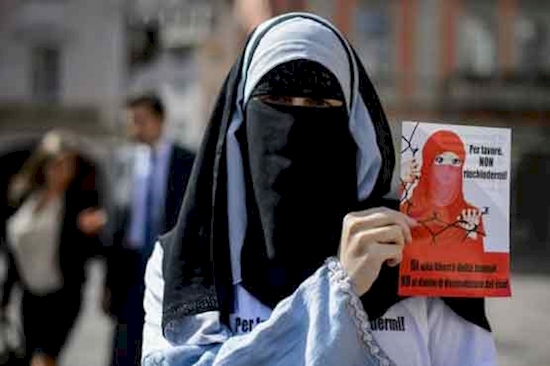 Women aren't just banned from wearing a niqab in Ticino, Switzerland, they can also be fined! And it's not cheap, either. The southern region of Switzerland near the Italian border voted in a ban on Nov. 24 after 50 per cent of people in Ticino voted in support, according to International Business Times. Residents and tourists caught wearing the coverings could be fined up to 10,000 francs, or $10,000. 3. And across the ocean, it's not that different. 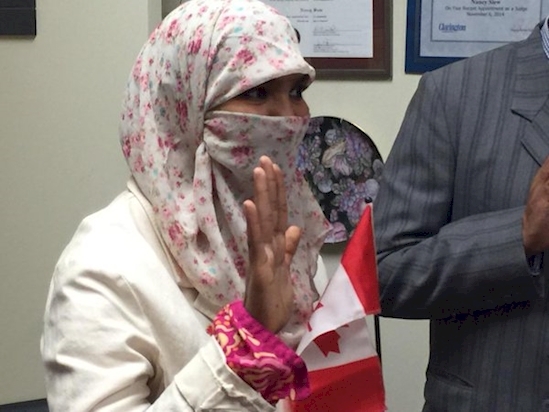 During Canada's recent election campaign, the former-Conservative government raised the issue of wearing a niqab to swearing-in ceremonies for new Canadian citizens. The issue had come up twice during those ceremonies, and the Supreme Court of Canada struck down the government's request to ban the item of clothing. The government tried to appeal the decision, but were again denied by the Federal Court of Appeal... #sorrynotsorry. The issue has given rise to a number of attacks across Canada against Muslim women wearing a veil, and new Prime Minister Justin Trudeau has come out against both the attacks and bringing up the non-issue of the niqab in the first place. 4. It's easy to forget that this has lasting damage for women. 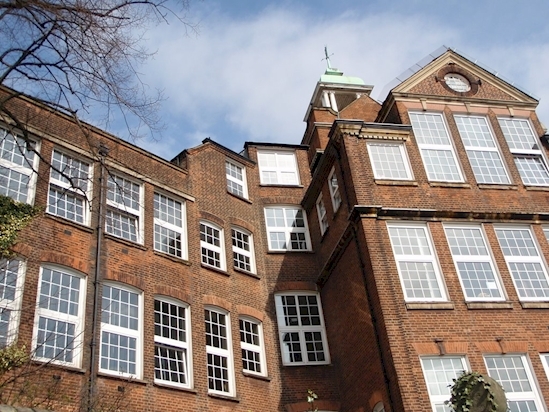 One of London, U.K.'s top schools banned a 16-year-old girl from entering their school after she came wearing a niqab, and her fellow students were furious. The ban prompted a petition that more than 1,000 people signed in support of the girl. Unfortunately, she later broke her silence and said she was too distressed to return to the school and instead would be studying elsewhere. “The school has no uniform and I thought they were accepting and open-minded," she told London Evening Standard, "It didn’t make sense that they were refusing me to wear the niqab." The niqab has been a huge issue this year, but there are far more common accessories that people have taken issue with. 5. I'll whip my hair in your face. Would you drastically change your appearance for a job? That's basically what one woman had to decide when applying to work at a company in Poole, England. 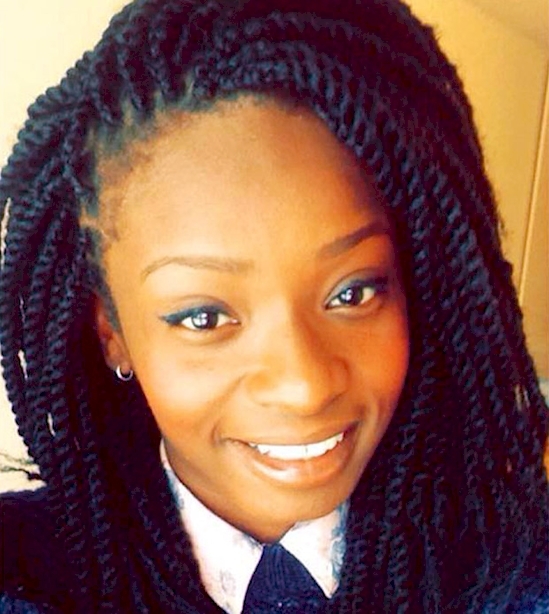 The business offered her a job, but on the grounds that she would have to take out her braids. Naturally, she said no. "This type of discrimination should not still be happening in this day and age and any establishment still condoning such practices deserve to be shamed and criticised," she wrote in a Facebook post. "I am disgusted that I had to be subject to such behaviour in this 21st century." 6. She's not the only one. 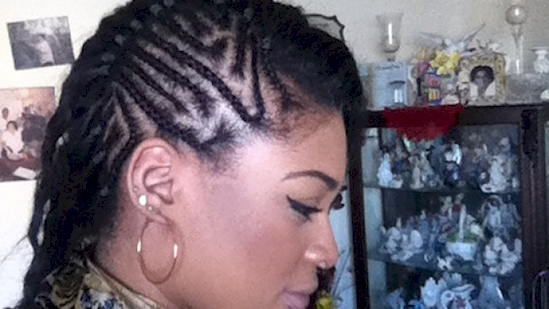 A woman in Montreal, Que., Canada alleged racial discrimination for giving her less hours of work at a restaurant based on her natural hairstyle. While a mediation had begun between the woman and the restaurant, the restaurant recently withdrew. This means the case will be investigated by the Quebec Human Rights and Youth Rights Commission, according to CBC Montreal. 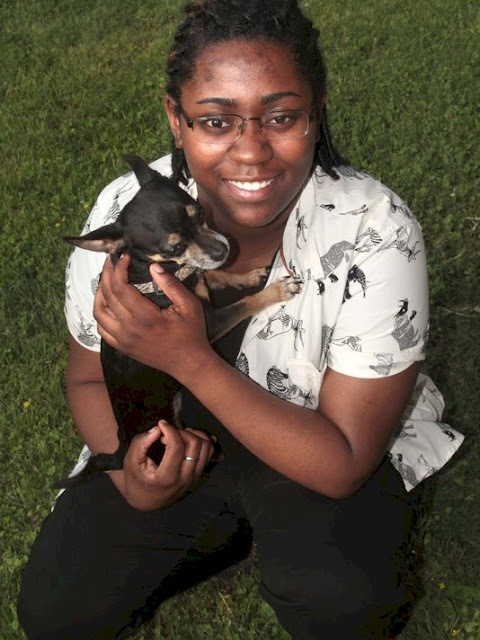 "It's almost 2016 and racism is still out there," she told CBC. "We thought this was all done and then we go to work and it's still there." 7. Cannes has some weird rules. If there's one group of people you really don't want to piss off, it's Hollywood. At the Cannes film festival, an uproar occurred after a woman was turned away for not wearing heels, and instead wearing leather shoes. The result? An explosion. While at first the Cannes film director stated on Twitter that the rumor was groundless, more and more people started to do some digging and found that it is indeed written that women must wear heels. Actors and actresses at Cannes soon joined the conversation, but Emily Blunt's reaction was my favorite. 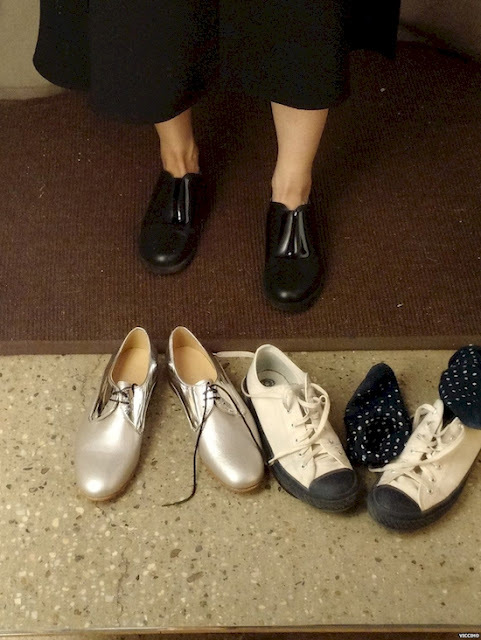 "Everyone should wear flats to be honest," she said, "We shouldn't wear high heels anyway." 8. It's kind of creepy they even noticed. A 12-year-old Indianapolis student was sent home on a three-day suspension because school administrators deemed her jeans "too tight." Her mother sent her to school for the next few days in a different pair of pants, but given her petite size, said it's extremely difficult to find a pair that fit properly. “I just don’t think it’s appropriate to send her to school in sweatpants. It’s dumbfounding," she told RTV6. As you'll see, people wear a lot of normal things to school that others just don't find OK.
9. Sorry, ladies, you can't look fly in a suit and tie. A group of students shunned their school prom after the principal told one of their female students she wasn't allowed to wear a tuxedo to prom. 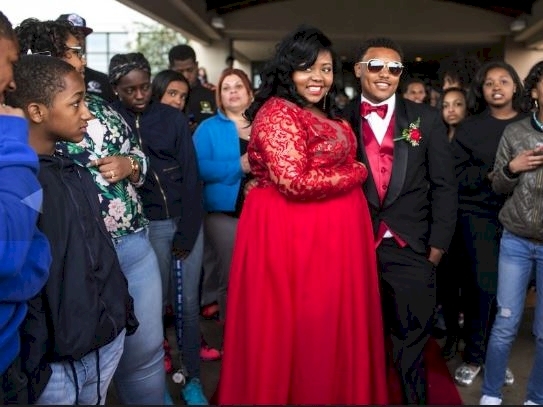 The student's mother said the principal allegedly told her that the faculty wouldn't work a prom where women might wear tuxes, "his exact words. 'Girls wear dresses and boys wear tuxes, and that's the way it is.'" Her daughter, who is a top academic scholar at the school, told her mother she felt used by the school. "I feel like he's taking his values and throwing them on my daughter because of what her preference is and what she represents," her mother told The News Star. 10. You know those pants we all wear? Yeah, you can't wear those. 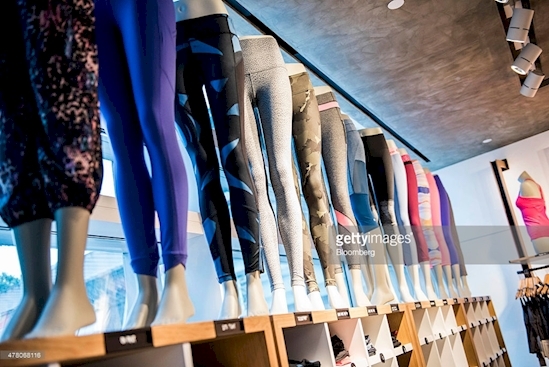 Students began speaking out over a ban on wearing yoga pants to school, unless they're paired with pants, a skirt or shorts. The students called the new revision to the dress code "body shaming," according to CBS Boston. The principal of the school later on said he was "proud" of the students for uniting over the pants. "This country was founded on rebellion. This country was founded on protest," he told People magazine, "and we respect the kids who want to speak their minds and show their identity and who they are." 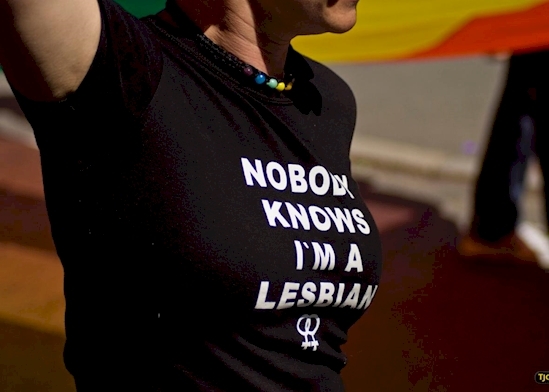 A student in South Carolina was suspended for wearing a t-shirt that read, "Nobody knows I'm a lesbian." Yep, that's it. The school called the shirt "offensive" and "distracting," but later changed their tune once the story got some attention. "The school district’s spokeswoman explained that 'although the shirt was offensive and distracting to some adults in the building, the students were paying it little attention.'" Talk about making a mountain out of a molehill. 12. Crop tops are about more than school dress codes. A Toronto, Ont., Canada student was pulled into her Vice Principal's office after wearing a crop top to school this year. In an interview with MTV News, she was told she had to find something to cover up her shirt that looked like a "sports bra," or they would find something for her. The student came back and refused to cover up her crop top, and would continue wearing the item of clothing. 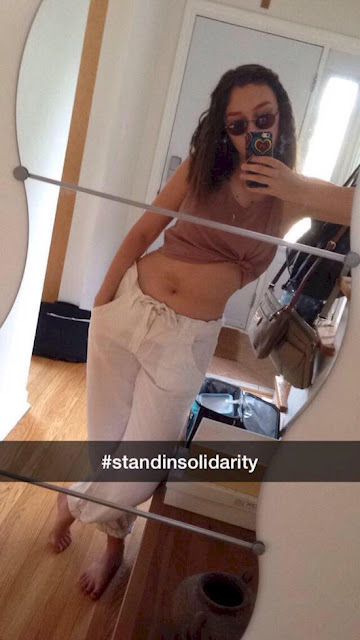 She later created an event on Facebook and was supported by friends across the school who came the next day also sporting crop tops. "I’m there to learn. End of story. What I wear in no way affects my ability to learn," she said. "The idea that showing skin means that a woman is being 'provocative' is a blatant example of not only judging a book by its cover, but also the sexualization of every part of a woman’s body." 13. Is too much cleavage REALLY your problem with her? A student from Harrisburg, Penn. was slapped with a suspension after wearing a red dress to her prom that school officials deemed "too revealing." "I couldn't believe it," the student's mother told PennLive. "I don't see anything wrong with that dress. What do they want her to wear, a turtleneck?" She believes the school targeted her daughter as a plus-size woman. When she and her daughter took the letter of suspension to school administrators, they ripped it up in front of the pair. I guess they were on her side! 14. I roll up, shorty, I roll up. A school headmistress in the United Kingdom banned skirts from the school uniform citing them as a "distraction" for male employees. After telling students who rolled up their skirts to make the hemline shorter to lower them back down, the headmistress had enough. "Now it's just a constant nag," she told The Telegraph. "Girls are coming in with skirts that just cover their bottoms — it's totally inappropriate." While some students weren't bothered by it, one student said, "In this heat it is impractical and really uncomfortable to wear trousers. We are not boys and we want to wear skirts." 15. Too short? Nope, too long. 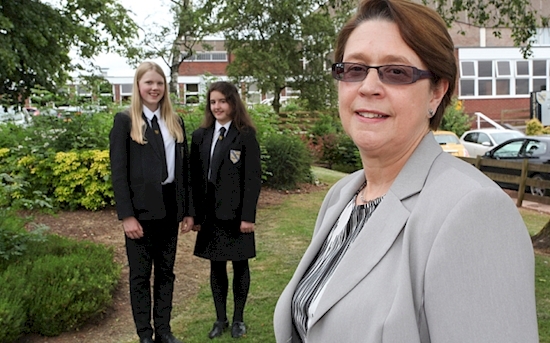 From being sent home for being too short, another school sent home a teenager for having a skirt that was too long! 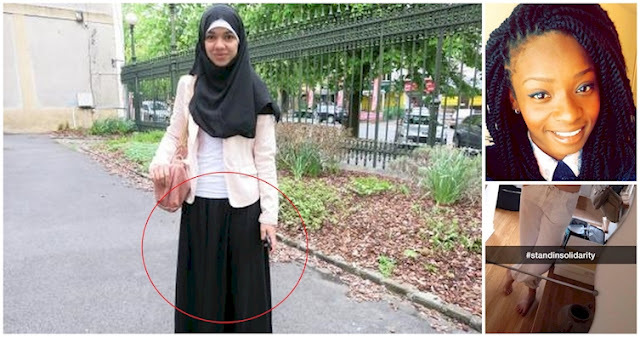 The student was banned from entering school on two occasions after the principal told her that her long skirt broke a ban on religious dress. The ban was introduced in 2004 and specifically targeted the wearing of religious headdresses, such as the niqab and hijab. The ban provoked a huge reaction on social media, and #JePorteMaJupeCommeJeVeux (I wear my skirt how I want) is flooding Twitter. Seriously, aren't maxi skirts actually a huge trend right now? 16. "Maybe our society isn't yet advanced enough to handle 3 inches of my thigh." 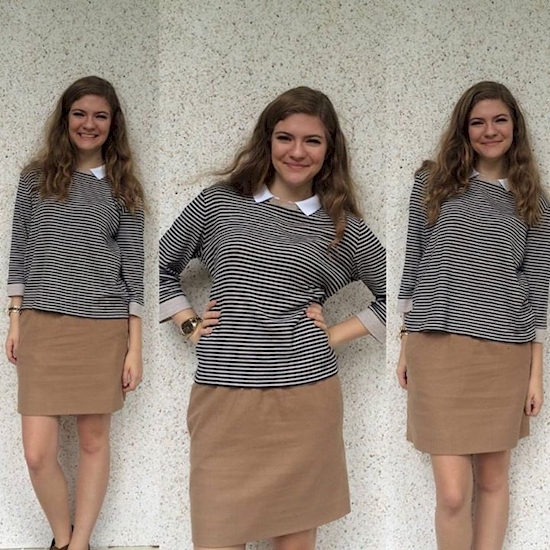 A teenage woman from Beaufort, South Carolina posted an image of herself in a skirt after being called out in the hall by a teacher and sent home. "Thank you for bringing me to tears in front of my friends and classmates because you do not have the decency to pull me aside and explain the problem. Then again, I did not have the decency to put on real clothes today." The woman (I'm assuming sarcastically) thanked the school for allowing her to realize that she is a whore and on the "path to hard drugs" as Student Body President. She continued that instead of worrying about the length of her skirt, perhaps the school should look into their employees, who she stated have made misogynistic comments in class.